It's been a great summer and it's hard to believe it's almost over. Parents all over are making sure their children have everything they need for the upcoming school year. 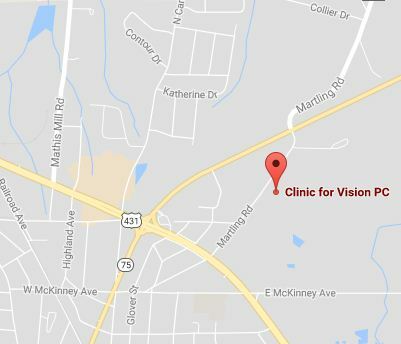 And if you haven't already done it, it's also an optimal chance to take your son or daughter in for a comprehensive eye exam. A huge percentage of school-based learning is accomplished with the use of a child's eyes. 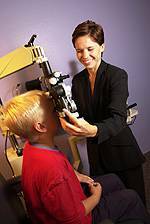 Yet interestingly, in spite of this overt link between eyesight and learning, a lot of parents underestimate or are simply unaware of the significance of vision problems, and don't include a visit to the eye doctor as part of their child's back to school to-do list. It's important to know that because vision in children changes, regular eye and vision care is central to success at school. Kids, it's worth noting, have a truly amazing ability to work with an issue with their vision and they might not express their difficulty, because they don't even know they don't see the world the same way their peers do. As children go through school, it becomes even more important to keep an eye on their vision. Struggling to meet the demands schoolwork can make on a student's eyes may noticeably affect their academic performance. New technology brought into the classroom, like interactive whiteboards, can also potentially heighten previously hidden vision issues. Without adequate vision, students may suffer not just in the classroom, but also mentally, physically and emotionally. If you're the parent of a child who wears glasses already, now is a great time to see if they need new glasses. Even though your child might be able to see well with his or her older glasses, they might be uncomfortable to wear or perhaps the lenses are not optimally positioned anymore due to normal development. The more your son or daughter is content with his/her glasses, the more likely it is that he/she will wear them. So don't forget to stop by to see us as part of your back-to-school routine. We'll help all the children we treat commence the new school year with excellent vision.